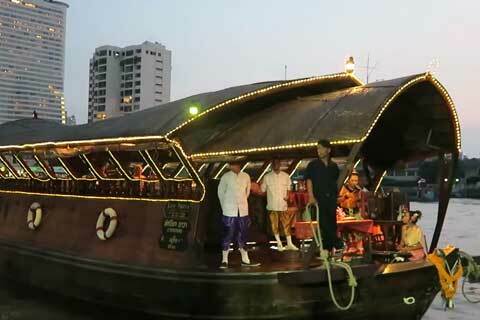 Depart from Sri Phraya Express Boat Pier. 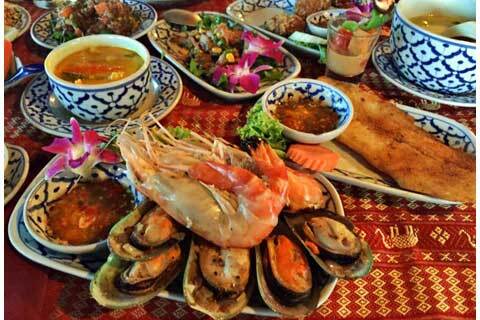 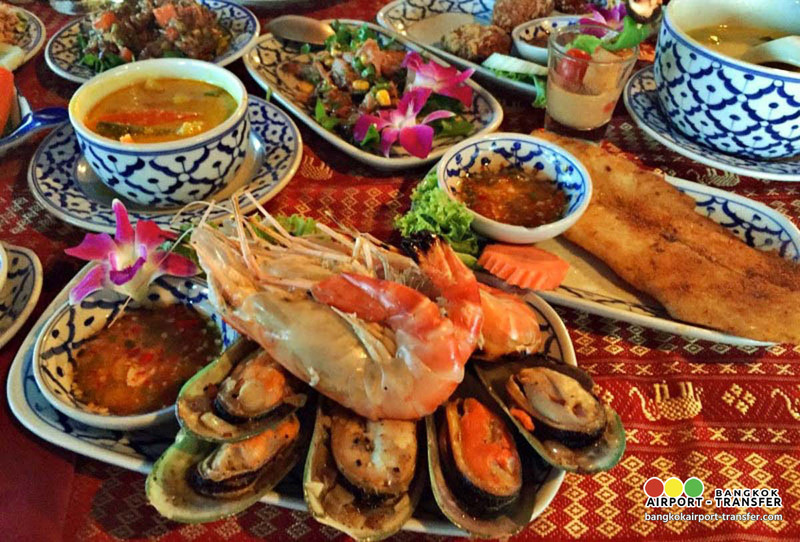 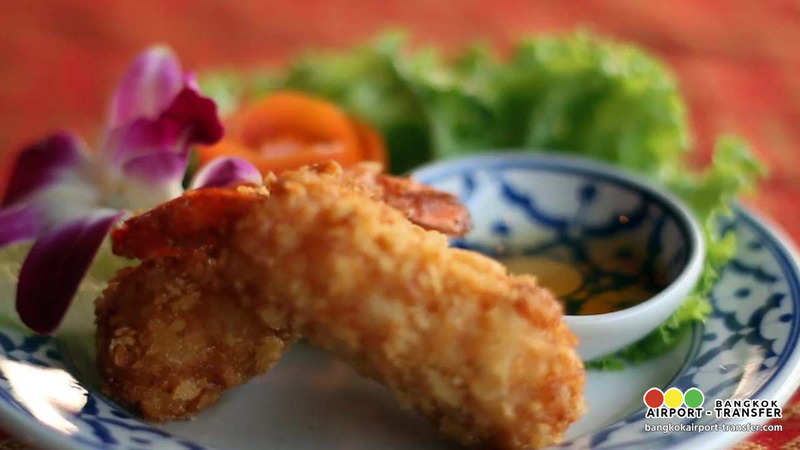 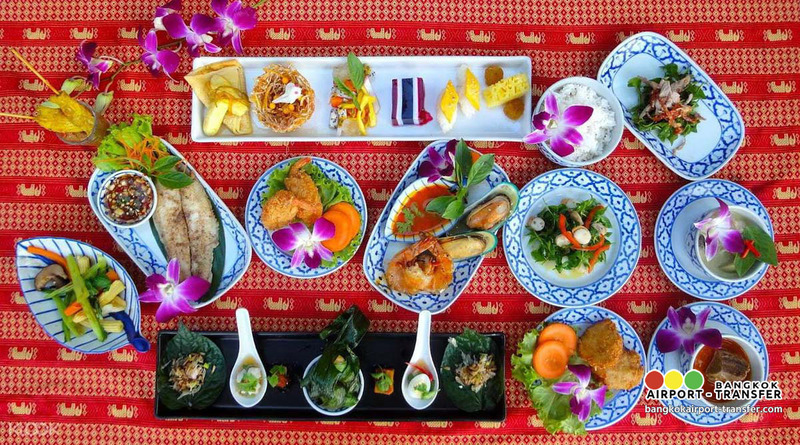 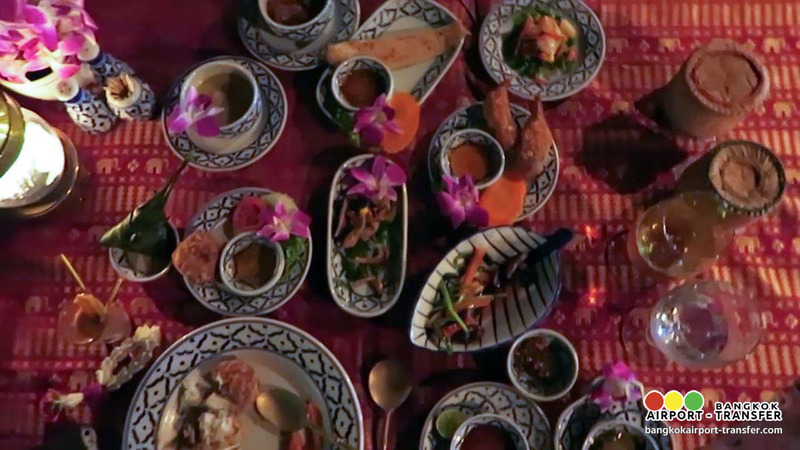 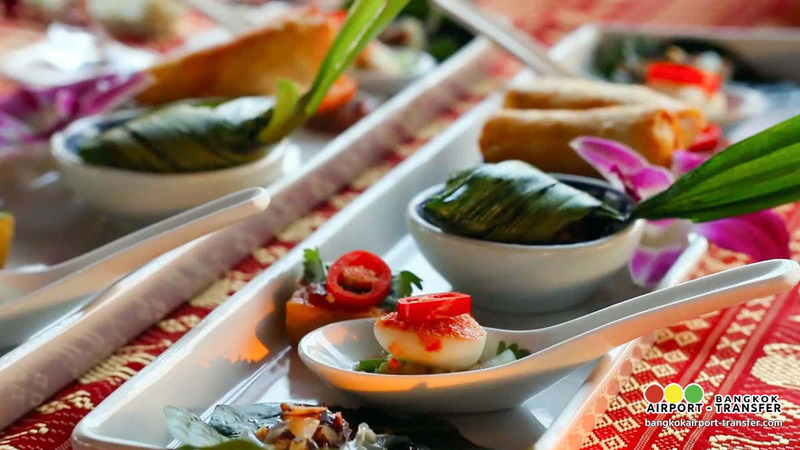 Enjoy a delicious Thai Set Menu or Sea Food and Thai Classical Dance and The Thai Music with the beautiful scenery on both side of Choa Phraya River. 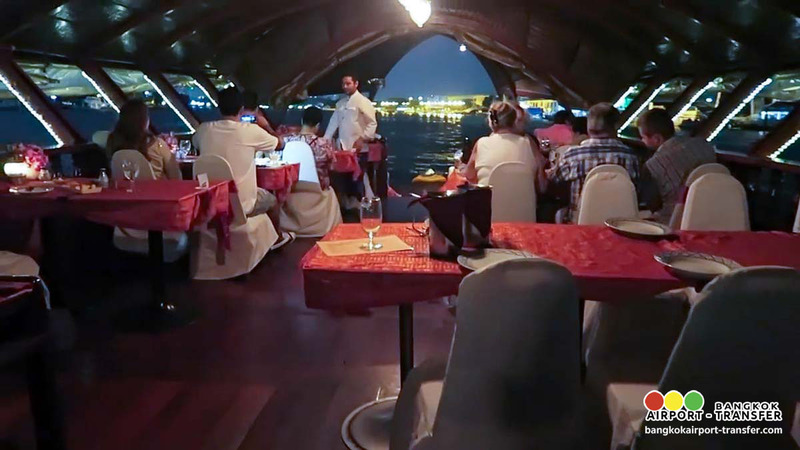 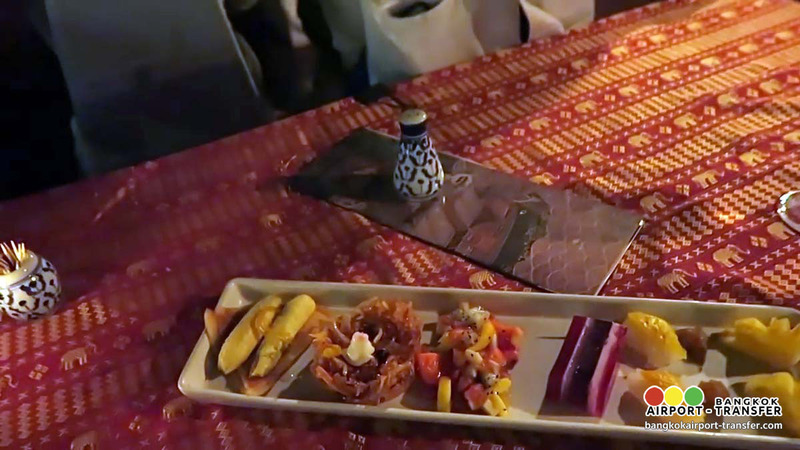 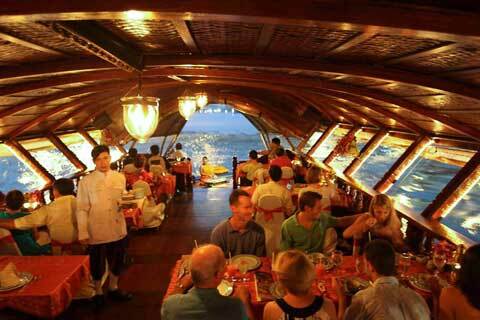 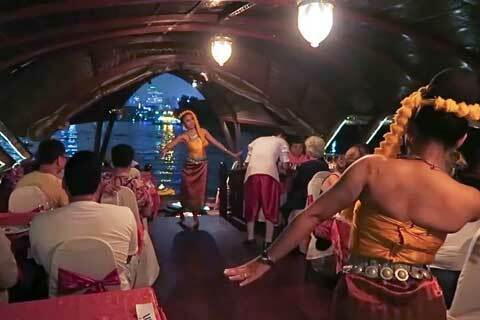 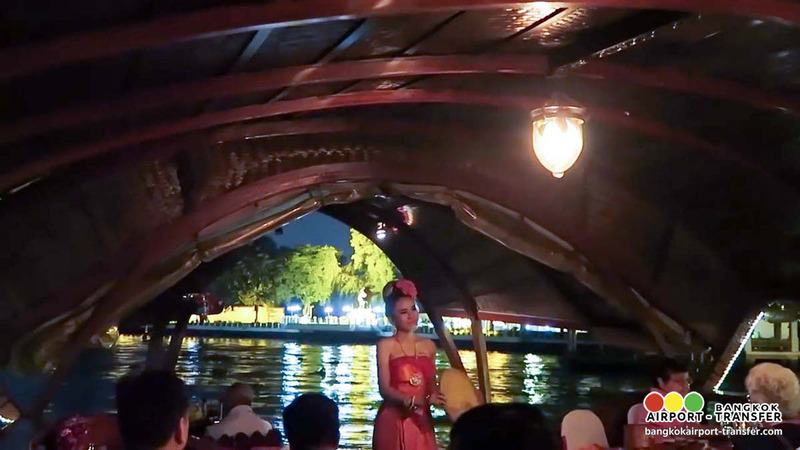 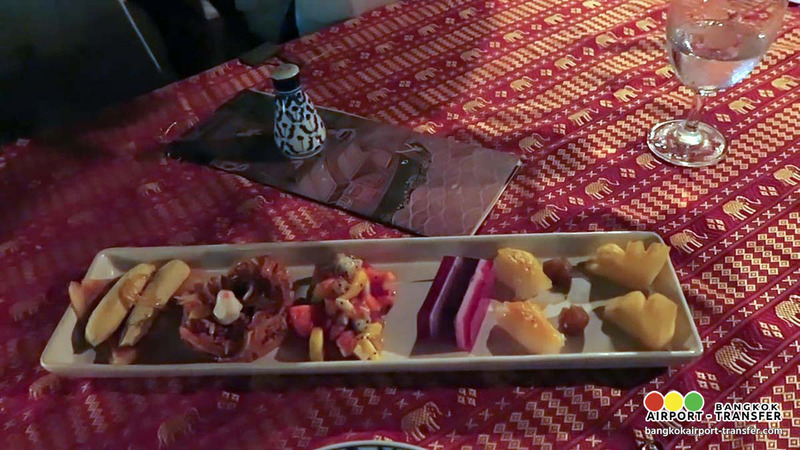 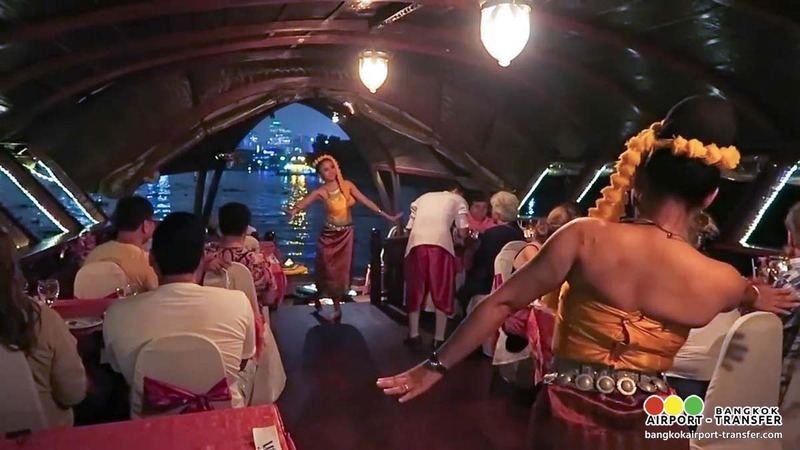 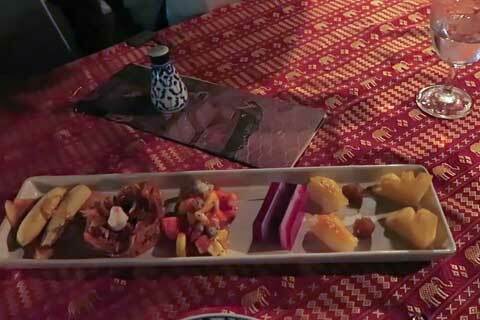 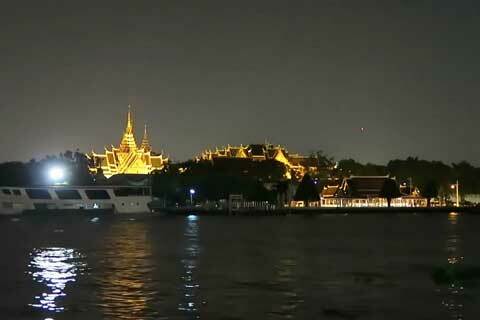 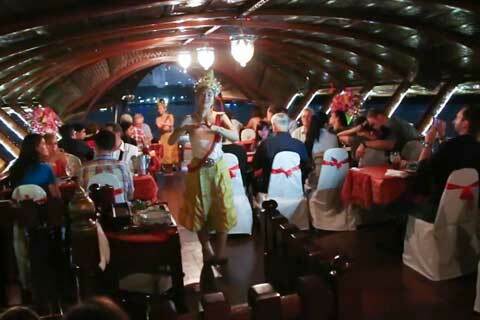 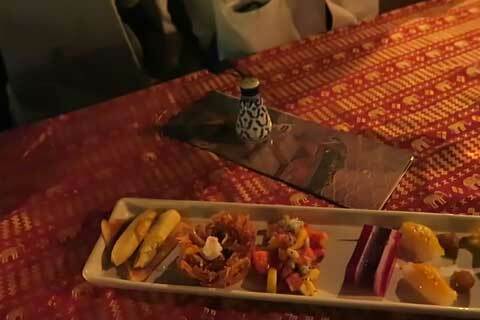 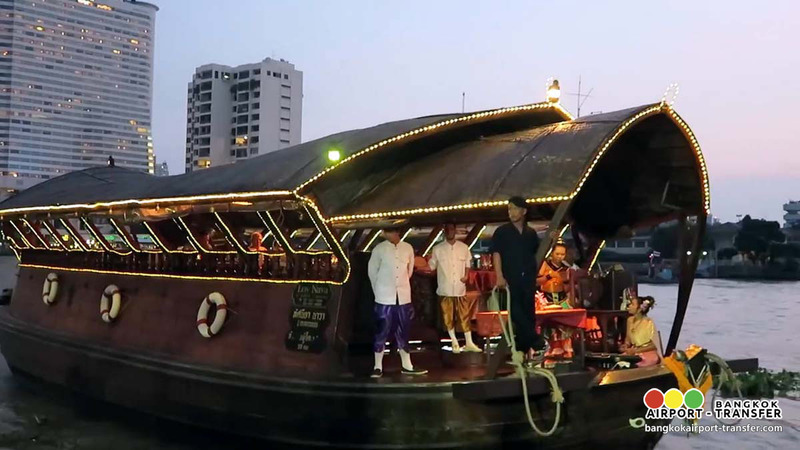 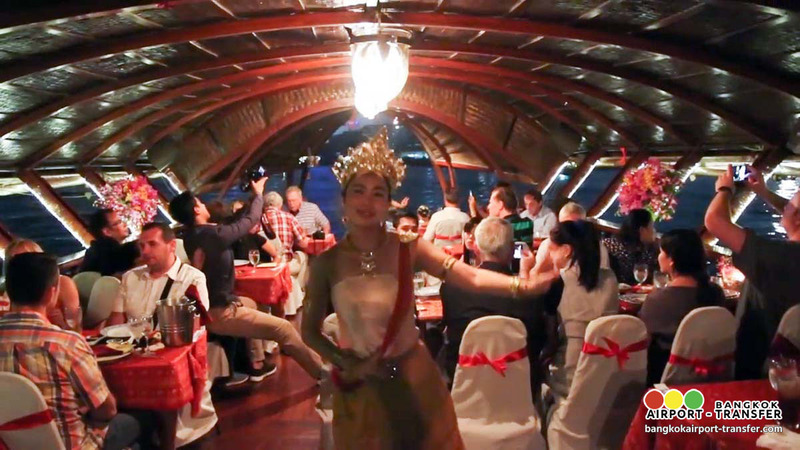 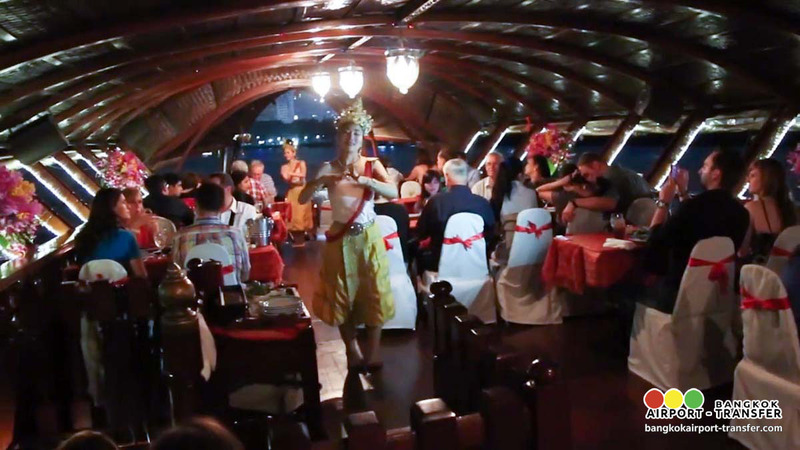 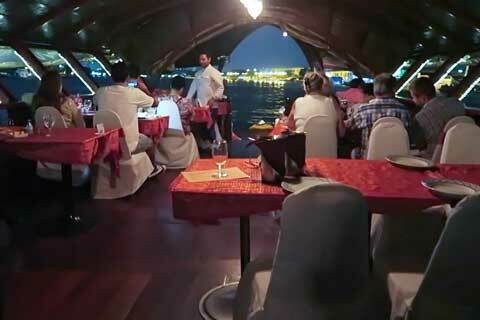 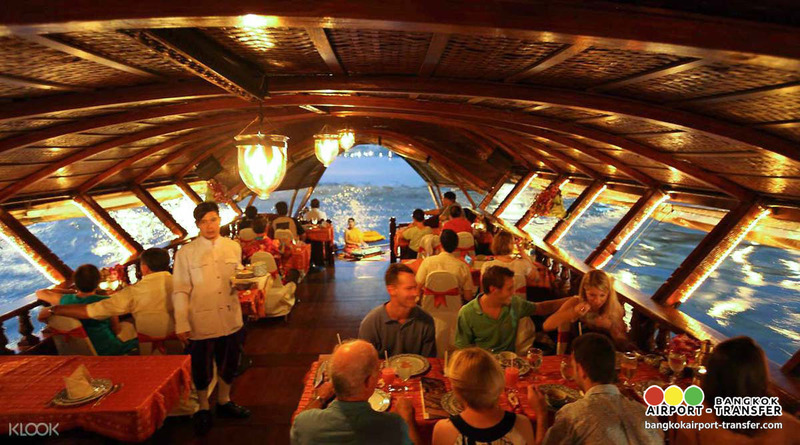 Five star dining, traditional culture and touring, on the only original antique teak wood rice barge on the river in Bangkok. 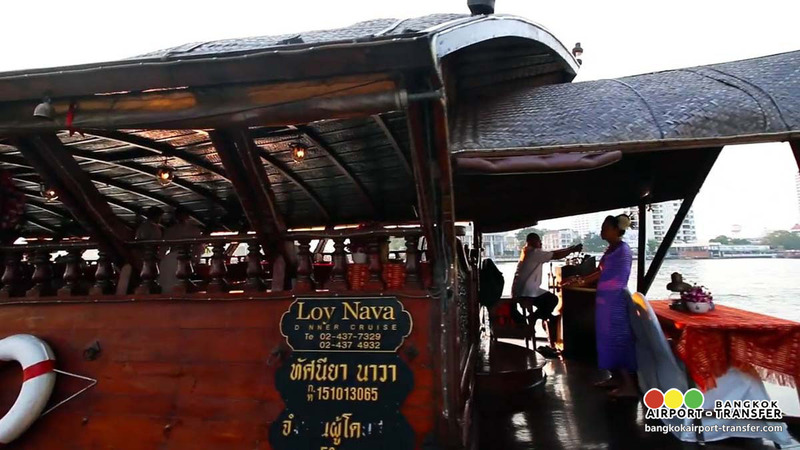 The Rice Barge, the Tahsaneeya Nava, named for the beautiful river vistas that are encountered, is constructed of solid hand-carved and polished golden teak, having been built at a time when such raw materials were abundant in Thailand. 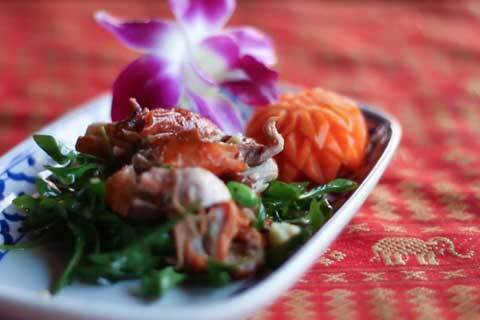 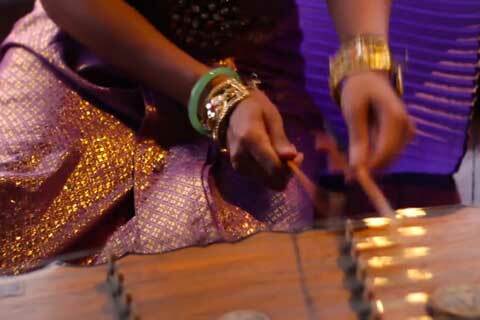 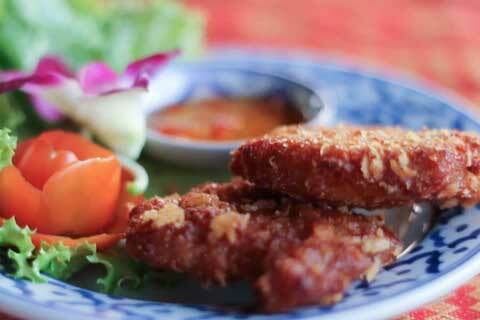 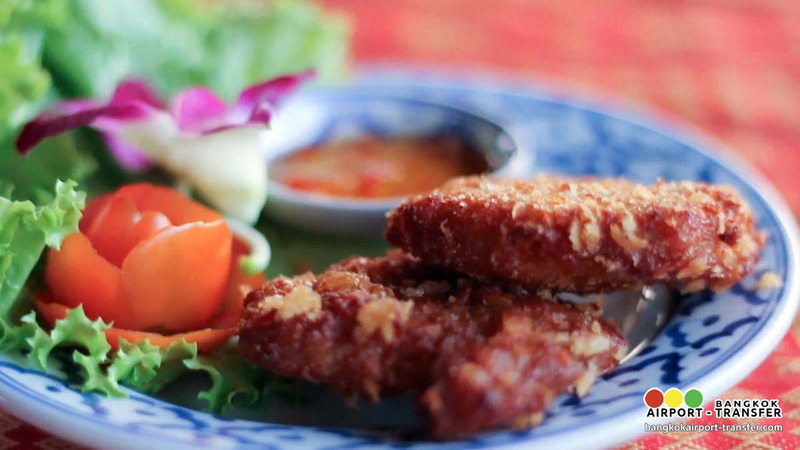 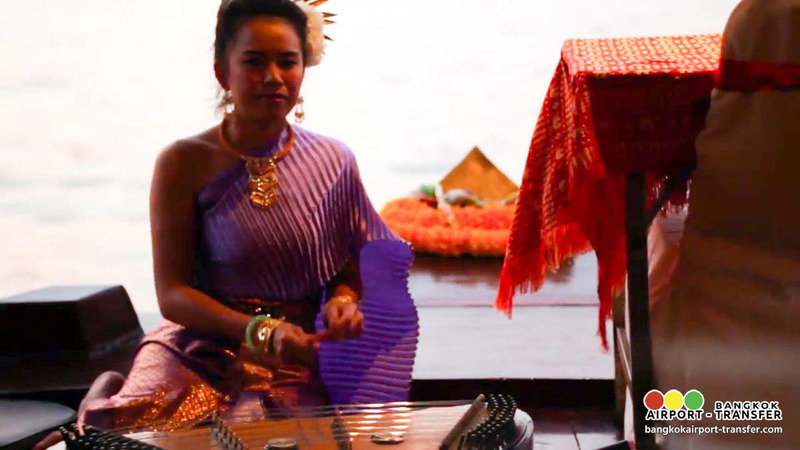 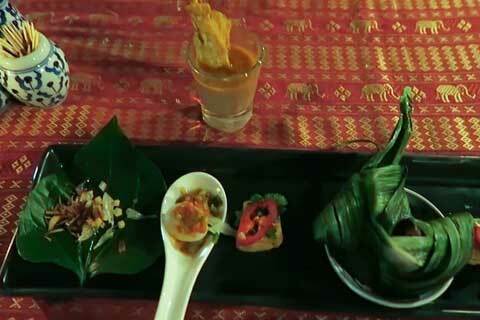 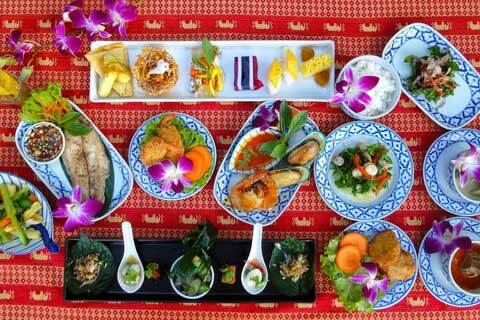 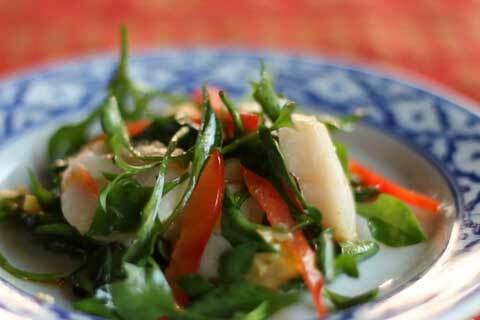 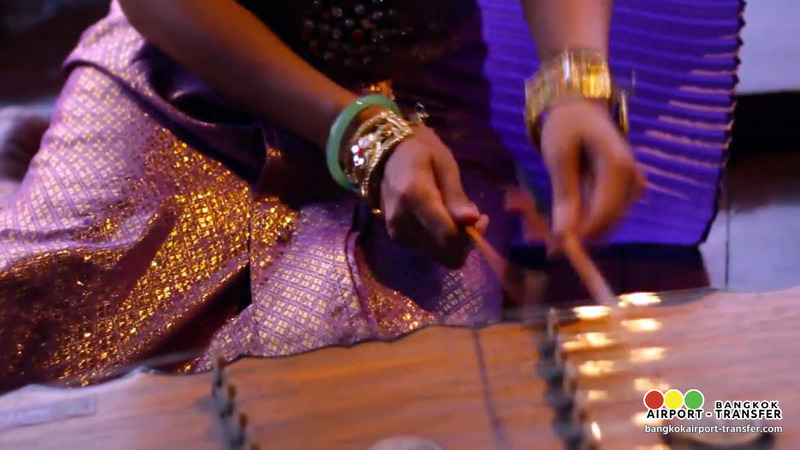 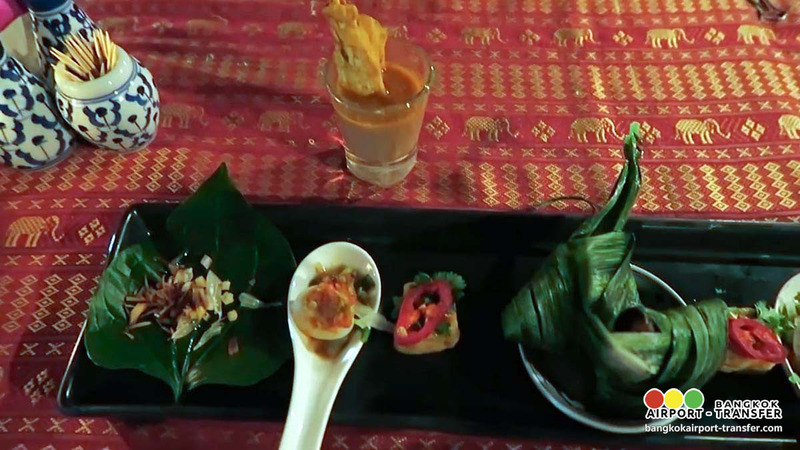 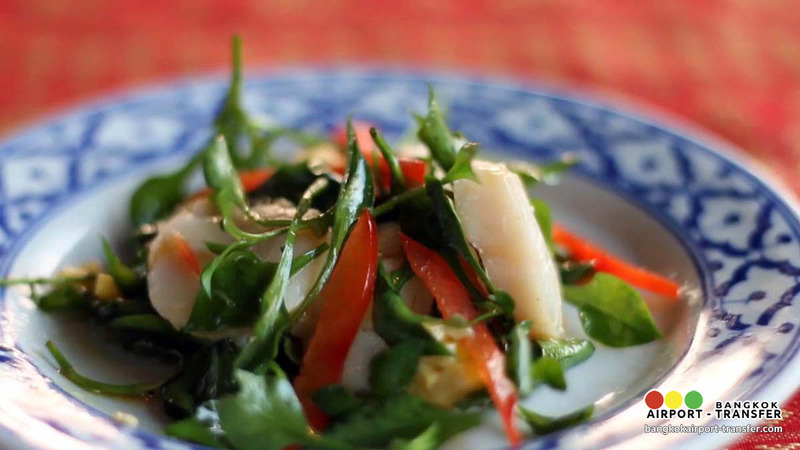 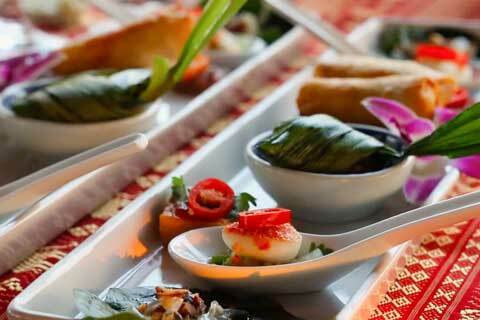 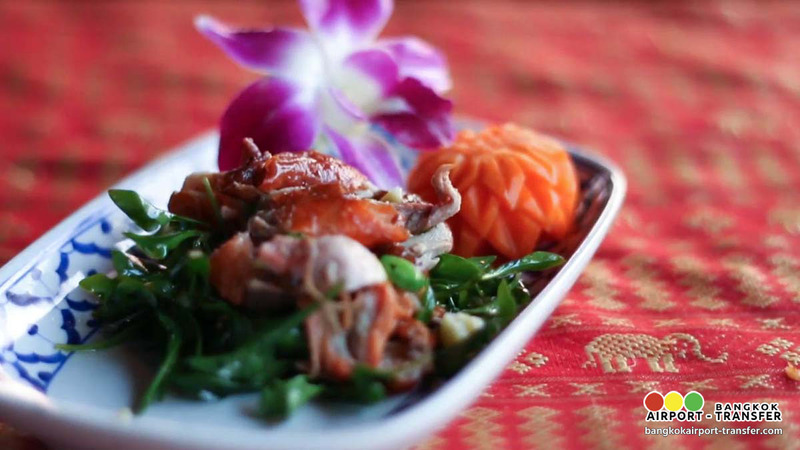 Loy Nava is committed to supporting traditional Thai culture and crafts. 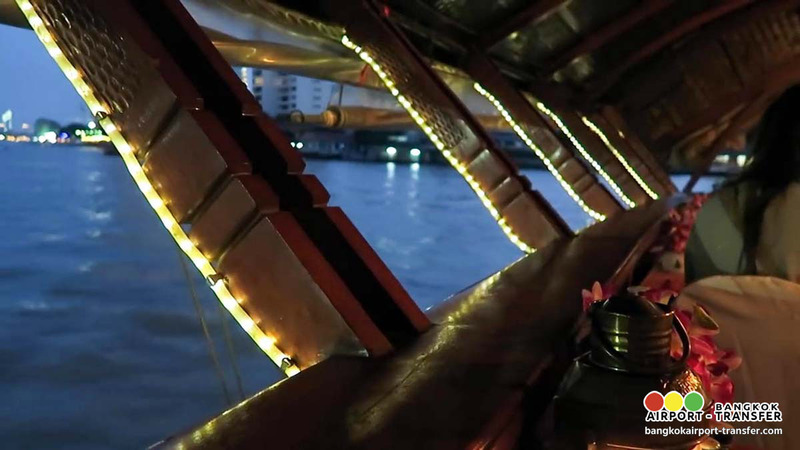 Our roof alone is constructed from over one hundred thousand hand-split and woven bamboo skins. 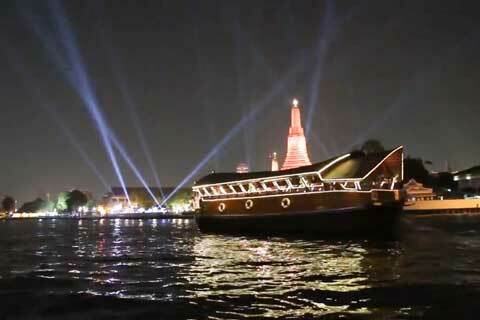 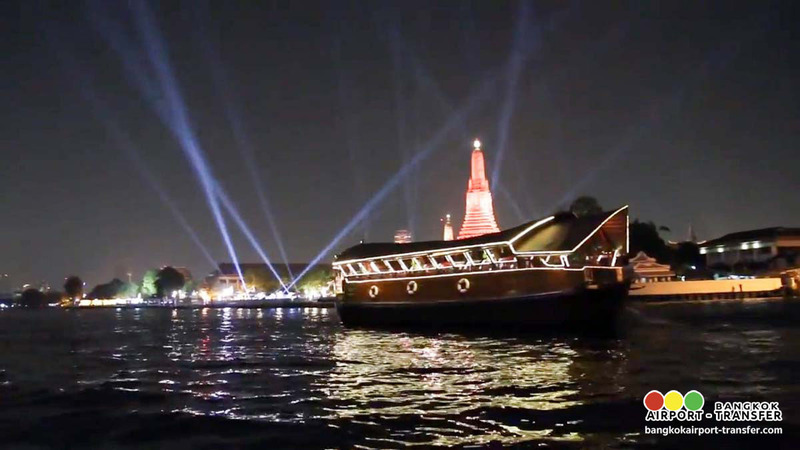 Priceless teak wood carvings and flowers from every part of Thailand adorn our boat and a myriad of twinkling lights illuminates the outline of our vessel. 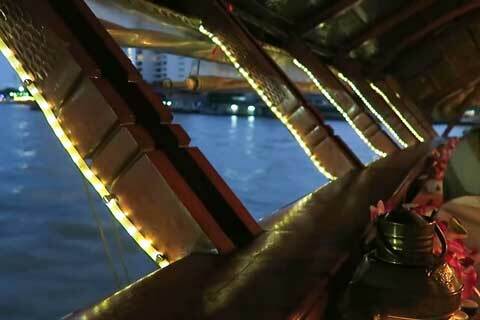 Arrive at Sri Phraya Express Boat Pier. 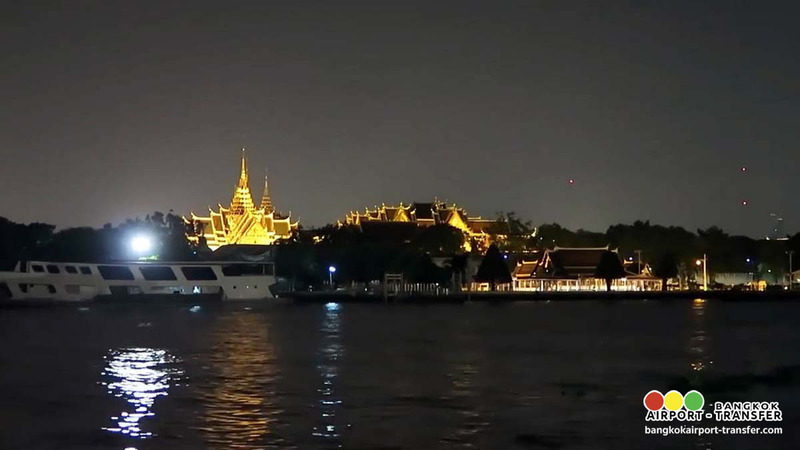 Price can not apply on festive periods , Valentine’s ( 14 Feb ) , Loy Krathong , Christmas Eve ( 24 Dec ), New Year’s Eve ( 31 Dec ) and New Year’s Day ( 1 Jan ). 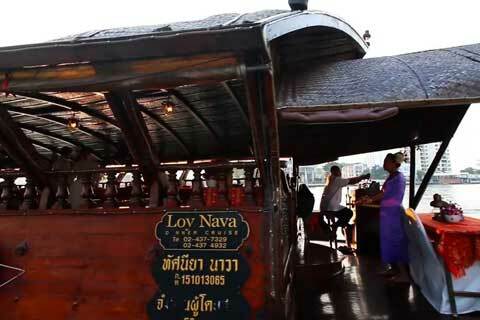 For children less than 5 years and height below 90 cm will be “Free” of charge. 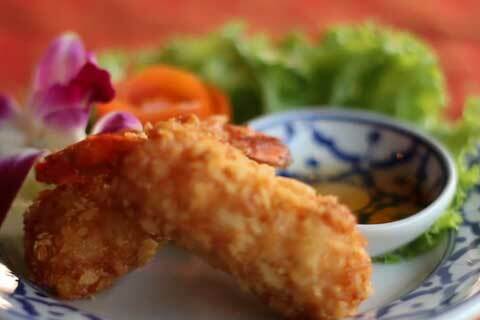 For children 5-13 years old (below 100 cms) we charge 50% of adult price.